Owner Tim Hewitt believes that a company or organization "tends to take on the attributes of the person at the helm." It's essential that clients can trust the character and values of the person leading the team to be invited into their homes for weeks at a time. Tim Hewitt is a remodeling professional whom clients can trust. As a Virginia Class-A building contractor, Tim brings a substantial wealth of leadership skills, technical expertise and project management experience to every project he and his team execute. Wholeheartedly, his clients attest to the honesty, integrity, professionalism, craftsmanship and attention to detail by which Tim, his crew and his subcontractors conduct themselves before, during and even after every job. Most importantly, they add, he "always has his clients' best interest at heart." The eldest child of a farming family from central New York, Tim began accepting adult responsibilities at a young age. He learned to troubleshoot and fix machines with great resourcefulness. He learned the technical side of the construction business following high school graduation and then spent summers during college building single-family houses from the ground up, alongside a gifted contractor. “Back in the day we did everything, so I was fortunate to have been exposed to the entire anatomy of a house and thus became the proverbial 'jack-of-all trades, master of none,'" Tim recalls. Back then, "we knew our neighbors by name," he adds; "there were no strangers. A handshake and your word meant something. Car keys were left in ignitions and locks were unheard of. The milkman delivered the milk to your refrigerator in the kitchen, whether you were home or not." Having been raised with a strong sense of honor and obligation, Tim later served for 26 years as a United States Navy helicopter pilot in many capacities, one of the most enjoyable having been as Commanding Officer of a helicopter squadron in Norfolk during the mid-1990s. 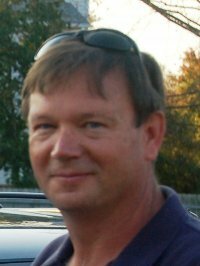 Following his military service, Tim worked for several years as a project manager and estimator for another remodeling company in Virginia Beach. Having gained valuable recent experience estimating and managing projects ranging from simple repairs to whole-house renovations, he formed Hewitt Remodeling Services LLC in 2010. "I understand leadership, responsibility and accountability," Tim affirms; "I have lived them." The attributes of honor, integrity and attention to detail that were a way of life serving in the military have proven to be transferable and relevant in successfully tending to families in the remodeling business. "I'm more interested in your happiness and overall satisfaction than getting your business," he adds. "My advice is always based on what is best for you and your situation, even if that means that I am not chosen to execute your project."